Nerve root compression, also called compressive neuropathy, can occur in the central canal, in the lateral recesses or within the foraminal openings. 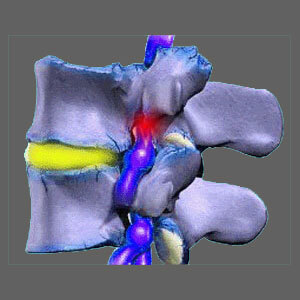 No single back or neck pain diagnosis is more prevalent than a compressed nerve root. This is the most often pronounced diagnostic explanation for symptoms in the entire dorsalgia treatment arena. Compressed nerve roots can generate symptoms virtually anywhere in the body. This is because nerve roots go on the provide motor instructions for virtually all the major muscles in the anatomy, as well as providing sensory feedback to the brain, describing what each bodily location is feeling at any given time. Furthermore, nerve roots also carry autonomic messages to various organic systems of the body that regulate the seemingly infinite unconscious functions that go on throughout the body. It is obvious that suffering compression of a spinal nerve root can lead to some very serious health problems. However, the issues that one would clinically expect to occur in diagnosed patients rarely do, while other atypical symptomatic expressions are the general rule of thumb. This proven fact points to one painful conclusion: Most compressed spinal nerves are misdiagnosed as the true causative process. This critical essay explores the diagnosis of nerve root constriction within the spine. We will provide indisputable evidence of why most of these conditions are misdiagnosed and offer some insight as to how to prevent misdiagnosis from ruining your hopes for symptomatic relief. The patient may or may not suffer pain as a first symptom. Localized and radiating pain is common to experience in cases of early nerve impingement, especially when the onset corresponds with traumatic injury. Within hours to days, the patient will generally begin to experience progressive paresthesia in the area(s) innervated by the affect root. Tingling will gradually give way to numbness, although some patients suffer numbness almost immediately upon the start of compression. Weakness will occur within days or weeks after numbness occurs. Both the numbness and weakness will be objective and able to be proven via neurological testing. Functional loss can occur within days to weeks of initial symptoms and might include many types of movement deficits in the innervated anatomical regions. If the affected nerve root provides vital autonomic functionality, the systems regulated might also be disrupted or disabled. Symptoms will always correlate to specific anatomical locations that match the innervation abilities of the affected nerve root(s). Symptoms will not be found in bodily locations not innervated by the compressed root(s). Patients often begin to notice a problem with the expression of pain, regardless of whether a known injury has occurred or not. 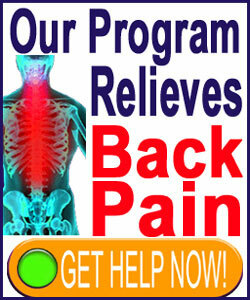 Pain might begin suddenly or gradually and ranges from barely noticeable to severe. However, pain continues unchecked and often worsens, despite the passage of time and the expectation that continuing compression should prevent nerve signaling, not allow for escalating symptomology. Tingling, numbness and weakness often take far too long to develop, if they develop at all. Some patients suffer pain for years before other neurological symptoms begin, while some patients never experience any unusual symptoms except pain. Furthermore, virtually all of these cases demonstrate subjective versions of numbness or weakness, which indicates a perception of a symptom, rather than the actual demonstration of it. This can be proven upon neurological exam. Symptoms often range greatly by location and may occur in locations not innervated by the suspected compressed nerve roots. In some circumstances, the location of symptoms does not match at all, such as when a root is thought to be compressed on the right side, but symptoms exist on the left. In other cases, symptoms occur in the expected areas, but also range far beyond the affected areas to locations not served by the impinged nerve root(s). Pinched nerves are diagnosed more than any other identified cause of back or neck pain. However, the vast majority of these diagnoses are suspect, since symptoms rarely match clinical expectations. This fact does not seem to disturb the millions of doctors, chiropractors and therapists who make these diagnoses each and every day. However, they have disturbed us for decades and we continue to wonder how these doctors justify these conclusions when all the clinical proof is against them. The problem is that laymen patients often do not take active roles in their own diagnosis and treatment. They truly have no idea what a particular diagnosis should entail when it comes to a pinched nerve. They simply go with the flow, allow treatment after treatment and usually end up in eventual surgery. It is not until all these efforts have failed to relieve their pain that they begin to suspect that something is wrong and has been wrong all along. Virtually all healthcare providers embrace the Cartesian model of symptomology, stating that pain results from abnormalities of the body. Therefore, if an abnormality is located using the miraculous assortment of modern diagnostic tools, it is generally implicated as the origin of symptoms, even if the details of this association are illogical. After all, the patient will never know, especially once they are shown “evidence” that something is atypical in their spine. In the end, there is no denying the truth. Truth will eventually set all things right, as long as this truth can be disseminated to those it affects most: diagnosed patients who want to get better and are willing to learn the facts in order to achieve this worthwhile objective.